British Taekwondo Stars to earn their stripes? The US Open is a key competition ahead of the WTF World Championships in May, reflected by the depth of the British squad. Damon Sansum won’t be at the peak of his Austin powers in America this weekend. 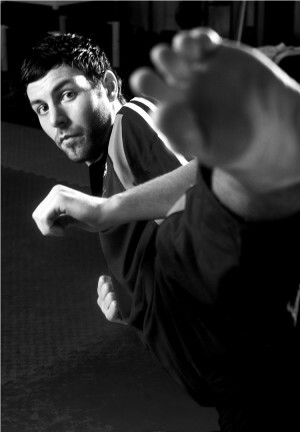 Indeed, British Taekwondo Performance Director, Gary Hall doesn’t expect the 2010 French Open bronze medallist to be a gold member of his 10-strong British squad. But Sansum has delighted Hall with his determination to compete at the 20th anniversary US Open this weekend. He flew to Texas nursing a minor foot injury that necessitates the former world kick boxing champion wearing a protective boot between training sessions. However, Hall, who has travelled to Austin without two major players, Olympic bronze medallist, Sarah Stevenson, and world number two Bianca Walkden, is happy for Sansum to compete. “Damon has a stress reaction, rather than stress fracture in his foot,” explained Hall. He fights in in the -80kg category along with Development Squad member and Trelleborg bronze medallist, Andrew Deer (Tamworth). Liverpool’s Sophie Dickson (-57 kg) is due to compete in both the senior and junior competitions. For fellow teenager, Jade Jones (Flint), the 2010 Youth Olympics gold medallist, the US Open is another major career step. “I’ve had a couple of events to get used to the seniors so I’m going out there to hopefully win a medal,” says the confident 17-year-old. However, there was disappointment that Stevenson (Doncaster) and Walkden (Liverpool) were left behind at the squad’s Manchester base. Walkden, a winner of the British and French Opens plus Combat Games in 2010, has a knee problem. Stevenson had been due to take part but was a late withdrawal for personal reasons. The US Open takes place from February 17-20 in Austin, Texas.